As G7 leaders struggled to form a cohesive strategy in Canada on Saturday, China hosted a regional security summit with boasts of unity within the organization. 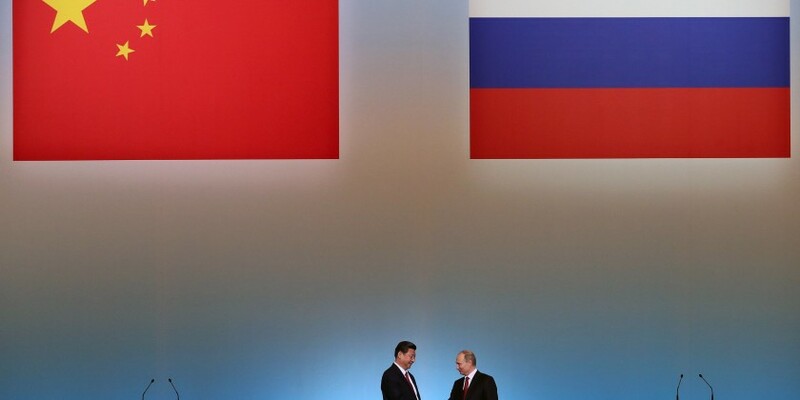 Chinese President Xi Jinping and his Russian counterpart Vladimir Putin on Friday agreed to promote greater development of China-Russia relations at a high level. The two leaders agreed that China and Russia should adhere to the concept of everlasting friendship and the spirit of strategic coordination, and expand and deepen cooperation in all areas, an official Chinese government statement says. During last weekend the Shanghai Cooperation Organization (SCO) summit in Qingdao took place. Over the weekend, leaders of SCO member countries gathered for their first summit after the bloc’s expansion last year. With the accession of India and Pakistan as full members, the organization now has eight member states, four observer states and six dialogue partners. Chinese President Xi Jinping called for “unity and harmony” among the member states at the welcome banquet of the summit on Saturday night. The SCO was set up by China in 2001 for political, economic and security cooperation amongst Eurasian countries and now includes Russia, India, Pakistan, Kazakhstan, Kyrgyzstan, Tajikistan, and Uzbekistan. Observer status is granted to Mongolia, Iran, Belarus and Afghanistan.